Football legend Ronaldinho has been banned from leaving Brazil by a judge. The ex-Barcelona is scheduled to appear at the Dubai International Sports Conference this week. But the 38-year-old has been barred from making the trip to the United Arab Emirates by a court in South America. Brazilian judge Newton Fabricio demanded that Ronaldinho and his brother Assis Moreira have their passports taken off them by authorities. The seizure order was made to guarantee the payment of a £1.75million fine imposed on the pair for breaking environmental construction regulations four years ago. They were prosecuted for causing damage to the environment in the building of the Ronaldinho Gaucho Institute in the Brazilian city of Porto Alegre. The charity helps work with young and impoverished people in the city and has been lauded for its work. 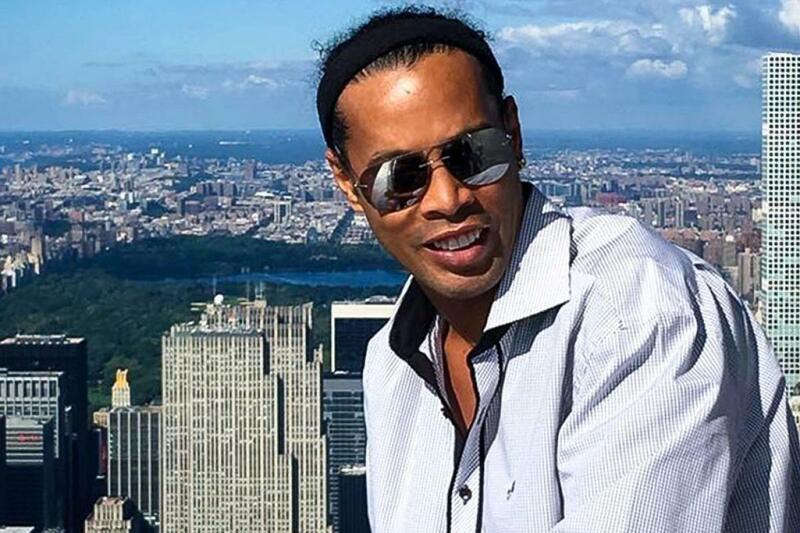 But authorities are still demanding the fine be paid, and prosecutors say Ronaldinho and his brother have been impossible to pin down over the money. When the judge first ordered the passports should be seized in November, Ronaldinho was out of Brazil. And he continued travelling around the world before eventually returning to his home country for the Christmas period. Prosecutors recently seized three luxury cars and a piece of art from the painter Andre Berardo from a house owned by Ronaldinho’s family. They also claimed they only found five pounds in the former Barcelona star’s bank account. Ronaldinho was due to attend the 13th Dubai International Sports Conference where FIFA president Gianni Infantino and Brazil legend Ronaldo feature on the list of speakers.